Pelczyska (Świętokrzyskie province) is situated in the western part of the loess uplands of Little Poland, circa 55 km. north-east of Kraków, on the right bank of the Nida river. 7 archaeological sites have hitherto been located in the vicinity of the village, which have yielded significant evidence of Celtic (La Têne) culture in this region during the La Têne B2 – D2 periods (3rd – 1st c. BC). By the later phase of Celtic settlement in this region, as in other parts of central and eastern Europe, cremation had replaced inhumation as the dominant burial custom (see ‘Celtic Death’ article). Thus, for example, the earliest Celtic graves from Silesia, dating to the La Têne C1 period, are cremation burials (Rudnicki, Piasecki 2005). Excavations at Pelczyska over the past decade have revealed that this was also the case in this area of Poland. A number of late La Têne graves revealed southwest of the village are all cremation burials – with one notable exception. In grave # 9 was discovered a well preserved inhumation burial, dating from the same period as the aforementioned cremation burials, i.e. – La Têne D2/late 1st c. BC. 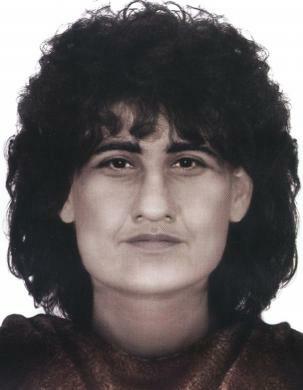 The body, lying on its right side, orientated west, was found with 2 pots placed on either side of the head. According to anatomical analysis, the skeleton is that of a mature female (adultus maturus), circa 30-35 years of age (loc cit). 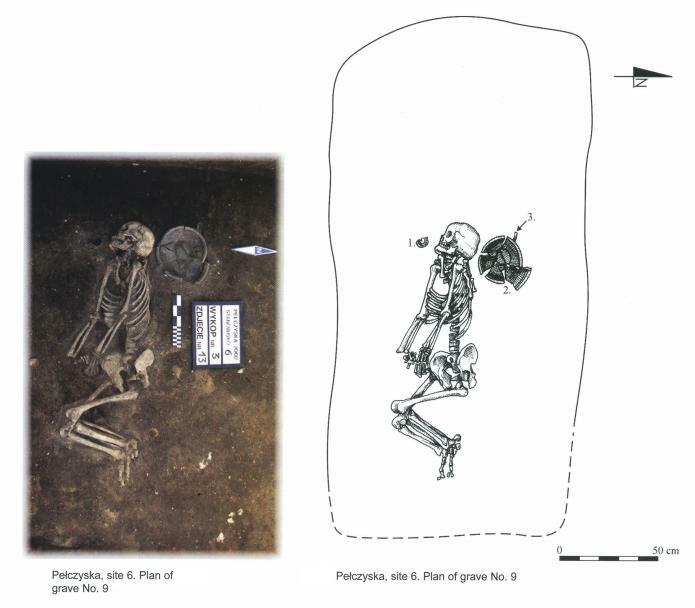 The discovery of the female inhumation burial at Pelczyska is the latest in a series of cases from late Iron Age eastern Europe of women from different ethnic groups buried in a Celtic environment. A notable example of this phenomenon is the Thracian woman buried in the Celtic cemetery at Remetea Mare in Romania. As in the Polish case, the female burial in Romania was the only inhumation burial in the Celtic cemetery, the other burials all being cremations. So, who was the woman from grave # 9 at Pelczyska ? The complex cultural situation in this part of Poland in the late Iron Age makes conclusive ethnic attribution difficult, but a number of facts from the site provide strong indications as to the woman’s origin. 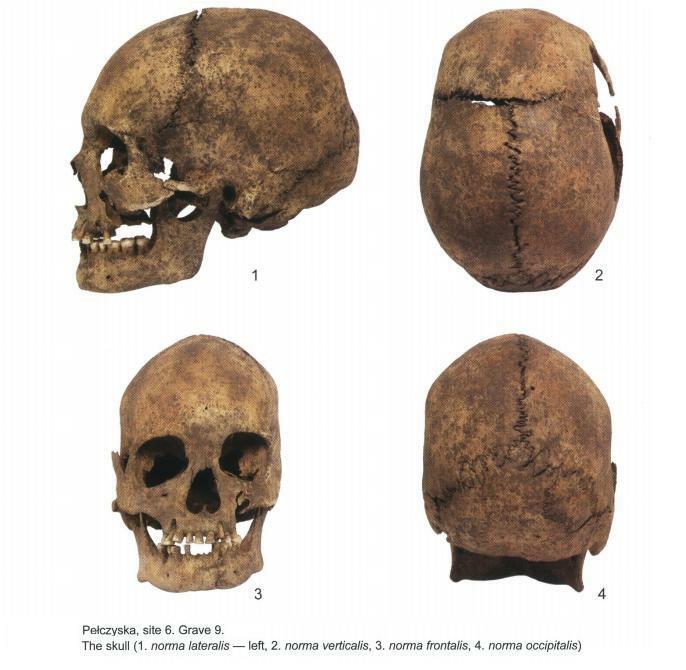 Firstly, anthropological analysis of the skull indicates the southern origin of the woman (Rudnicki, Piasecki 2005). 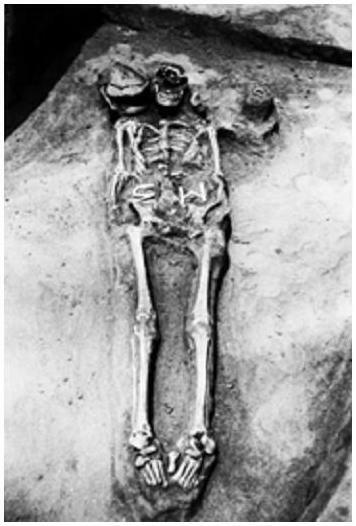 Furthermore, inhumation burials from eastern Europe from this period where the pot is placed by the head, as is the case at Pelczyska, have been recorded among the (Celto-Scythian) Bastarnae tribes (Babeş 1993: 34=-35). It is therefore particularly significant that a close economic and cultural relationship between the Celts in this part of Poland and the Bastarnae has been confirmed at Pelczyska by the discovery of a large amount of Bastarnae coinage at the site. 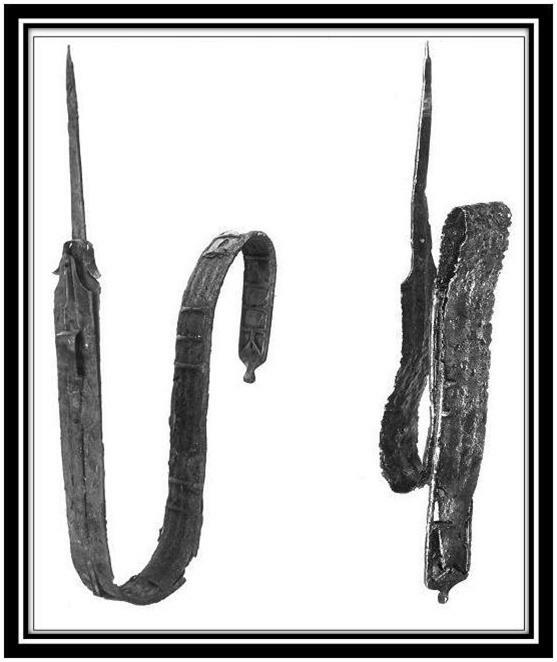 Thus, the available numismatic, archaeological and anthropological evidence strongly indicates that the woman buried in grave #9 at Pelczyska originated from the Bastarnae tribes and, as is the case with the Thracian woman from Remetea Mare, probably came to live among the Polish Celts as a result of a marriage agreement between the latter and the Celto-Scythians to the south-east. The fact that the woman was buried according to her own tribal customs once again highlights the mutual respect for cultural diversity observed by the pre-Roman tribes of eastern Europe. Babeş M. (1993) Die Poieneşti-Lukaševka-Kultur. Ein Beitrag zur Kulturgeschichte im Raum östlich der Karpaten in den letzten Jahrhunderten vor Christi Geburt, Saarbrücker Beiträge zur Altertumskunde 30, Berlin. 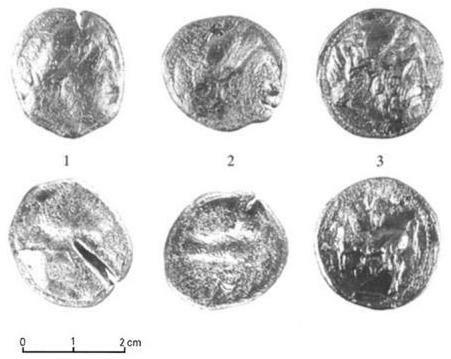 Rudnicki M. (2003) Celtic Coin Finds from a Settlement of the La Têne period at Pelczyska. In: Polish Numismatic News VII, 2003. P. 1-24. Next postTHE WICKER MAN – Fact or Fiction ? Just to say I really enjoy your blog and look forward to new updates. There’s not much interesting in large scale research for it, but it’s probably likely there’s at least some Bastarnae along with the other Thracian types leftover in southern Poland, especially among the Gorals. The Krakowians are also said to have many Celtic-type faces.